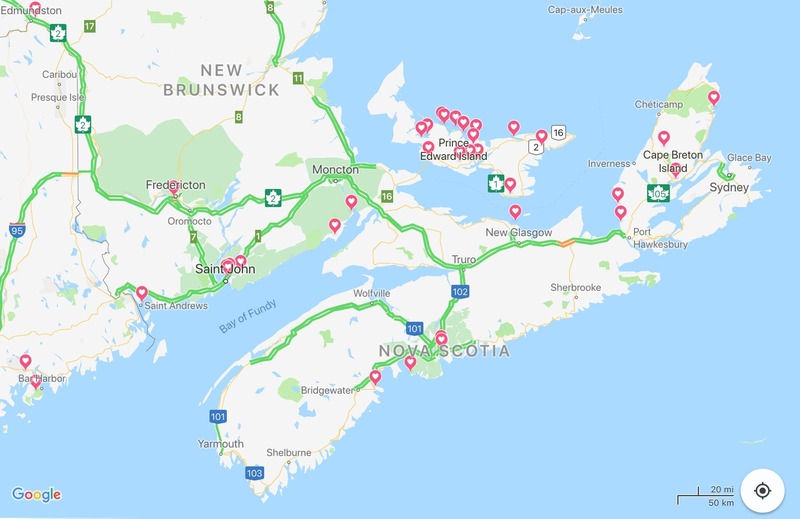 A New Brunswick transportation official said, wistfully, that he lived in the ”drive-through province.” People drive through New Brunswick on the way to/from Prince Edward Island (PEI) each summer. 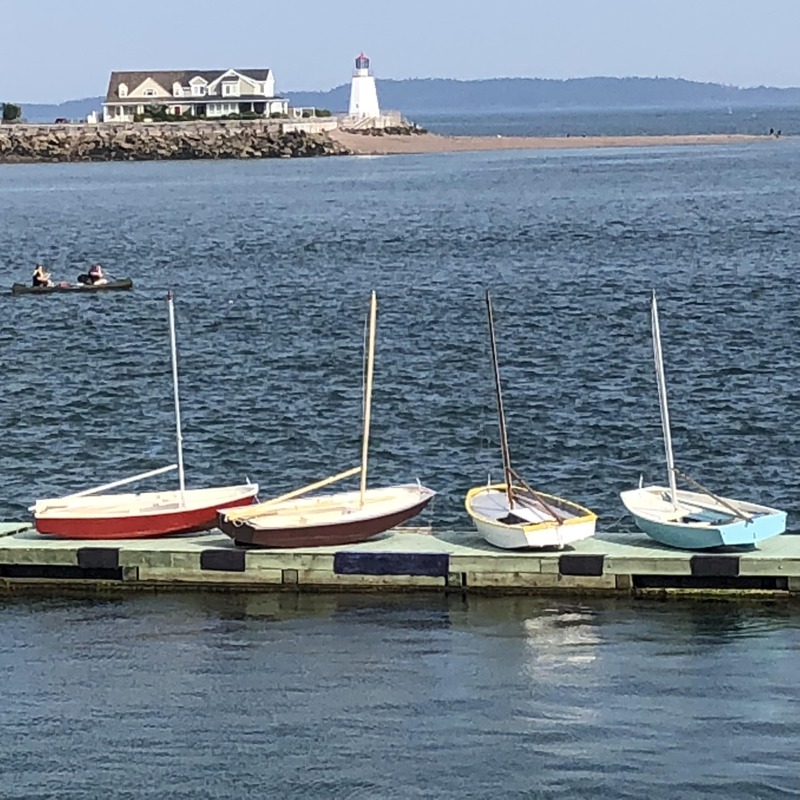 I guess we are guilty of nearly the same, but we drove around New Brunswick for 10 days or so, here are some of the spots we enjoyed . . . on the way to PEI. 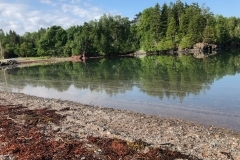 St. Andrews by the Sea was settled in 1783 by Loyalists living in Maine, who were peeved to find that their town, which they presumed to be in Canada, was in fact included in the United States after the American Revolution. They then dismantled their homes and floated them to New Brunswick on barges. They weren’t the only ones who worked hard to settle there. 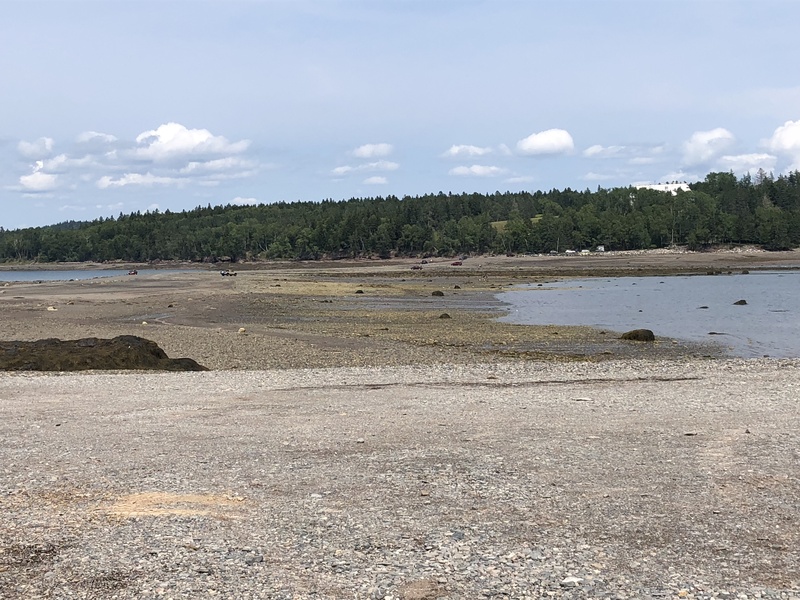 In 1890, Sir William Van Horne, built a huge summer compound on Ministers Island, which can be reached only when the famous 28-foot tide is out. The rocky pathway leading to the island — just outside of St Andrews, is under water for two six-hour stretches each day. 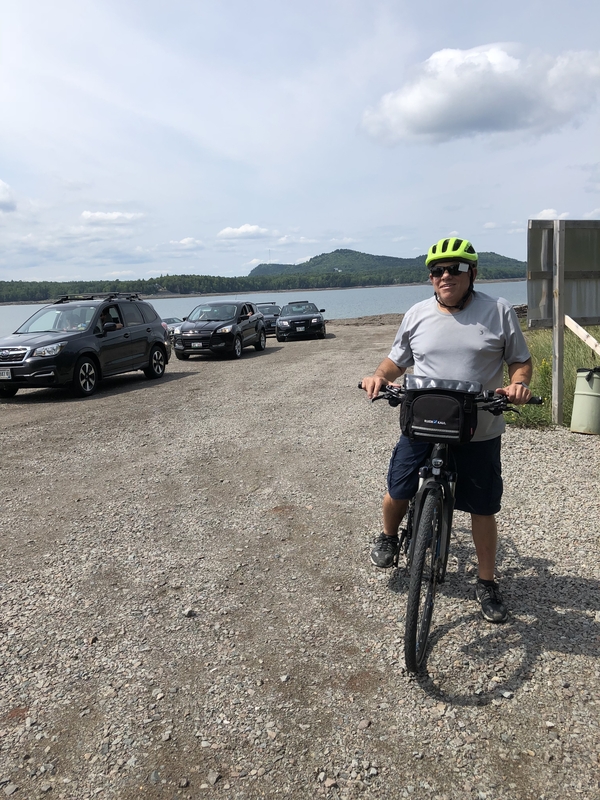 We bicycled there- twice- at high tide, to check it out, and at low tide to cross over and try mountain biking over hill and dale, enjoying the views and the adventure of it all. 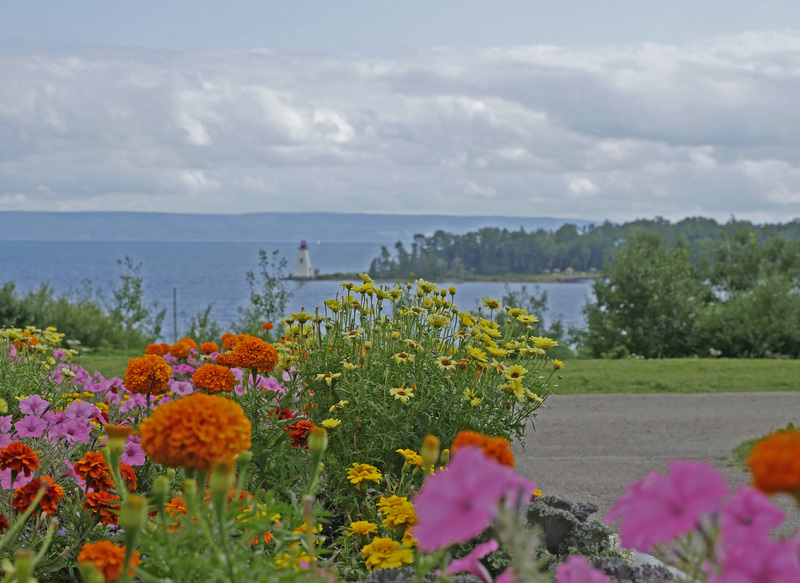 At Hopewell Rocks and at the St. Martins’ sea caves, it is easy to feel the power of the Bay. The cave, at St. Martins’, is only exposed during low tide, where you can walk on the ocean floor to explore the cave. 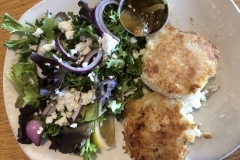 It’s all about extremes here—extreme tides, extreme weather and also extremely good food. We enjoyed the food of my youth. 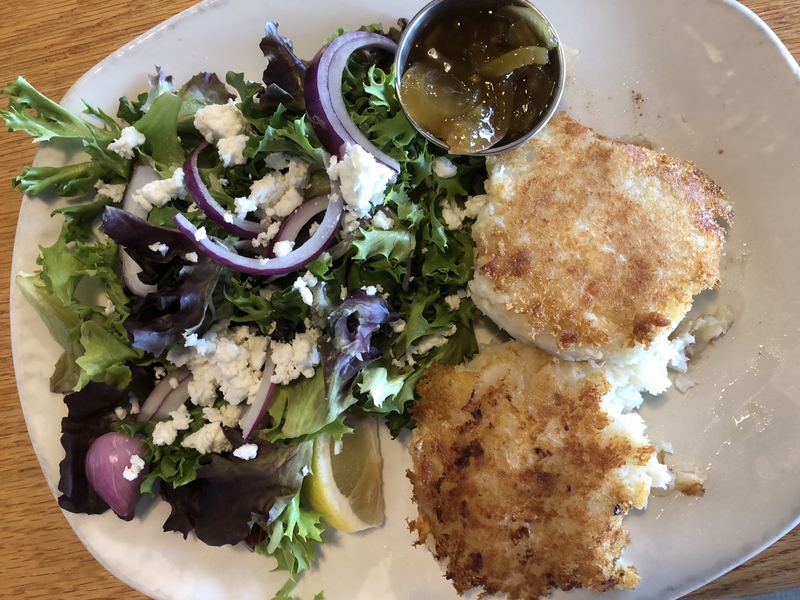 Since my mother was raised in this region, I gobbled date squares at the bakery, slowly, and delicately inhaled fish cakes with green tomato relish on the side, and then . . . fish stew with the freshest lobster, scallops, mussels and shrimp that could be found, probably that mornings take from the boat ramp in town. Each bite, a gastronomic event that took me home, to 50 years ago. 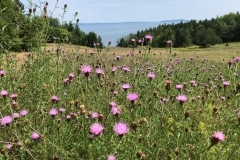 At Alma, the Upper Salmon River empties into the Bay Of Fundy. 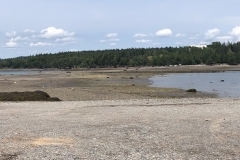 At low tide, if you stand at the river’s mouth, you see water flowing out. A few hours later, birds and driftwood float upstream, and eddies form where currents meet. At high tide, the estuary looks like a giant lake. We were looking for moose, at the only one we saw was in front of the local gift shop! Every summer, people from around the world visit Peggy’s Cove in Nova Scotia. 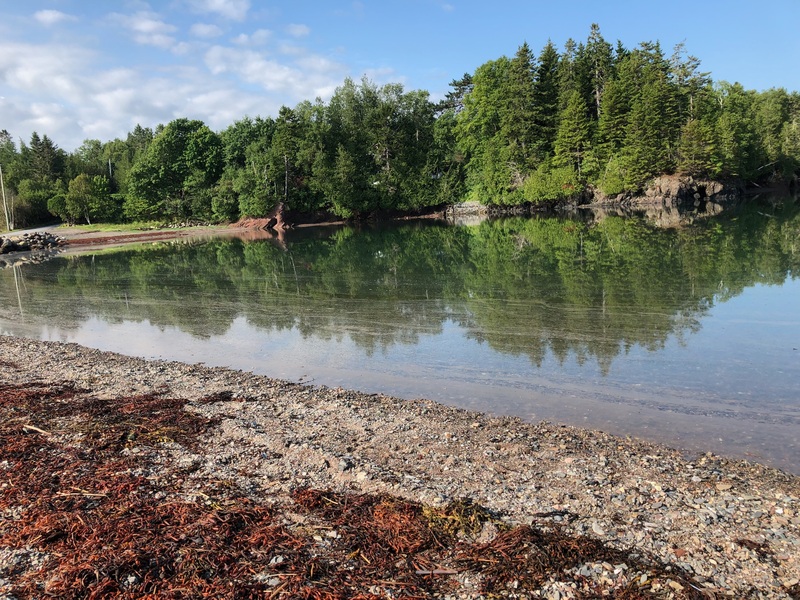 The surrounding rustic village, with piles of lobster traps and colorful boats bobbing in the bay, The rugged coast, the mighty Atlantic breaking over ageless rocks. Tall lighthouses stand sentinel. The day we picked the fog was thick, the air had a drizzle, and our experienced was softened. By the light available for photography, by the chilly day in the harbor. 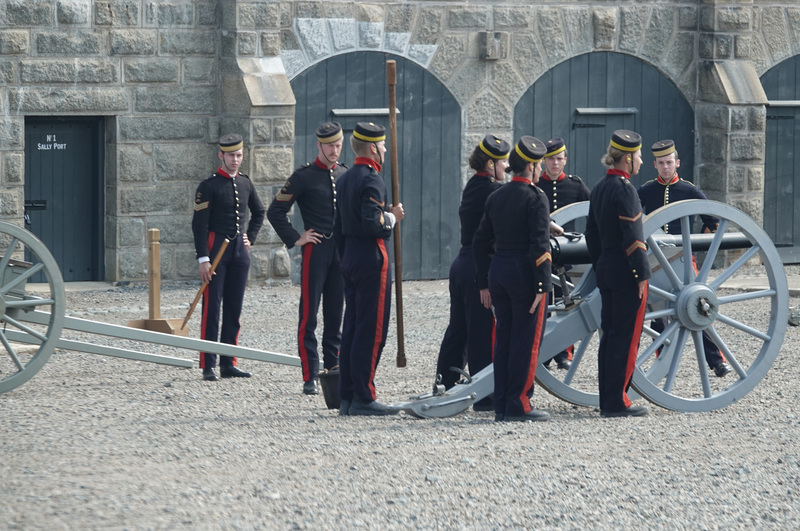 We arrived at Halifax Citadel National Historic Site, a star shaped fort, just in time for a daily firing of the noon canon by the Royal Artillery, a long standing Halifax tradition. Here historical reenactors conduct marching drills, and explain life at an 18th century outpost. 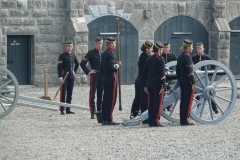 The long, lingering notes of a solitary bagpiper filled the inner yard of the fort before being joined by the sounds of drums and marching feet. The music signaled the start of the 78th Highlander regiment’s daily muster parade. Halifax is also the place where the Titanic rescue ships put into port. There is a cemetery there for some of those who died. Lunenburg NS is home to the Maritime Museum of the Atlantic, where the Blue Nose II a fishing and racing gaff schooner calls home. 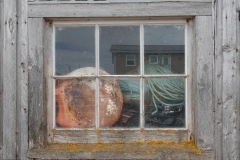 The original ship was wrecked in 1946, and became an important Canadian symbol because it won a race among fisherman and became the pride of Nova Scotia. Today, Blue Nose II is a tall ship and represents Canada in sailing festivals around the world. Cape Breton coast became a feast for the ears, the eyes, the stomach; and pure hell for Karen’s legs. 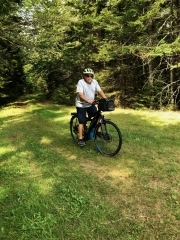 The Celtic Shores Coastal Trail is a 92 km (57mi) multi use trail along a former rail bed. 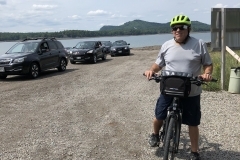 It is a well maintained packed gravel trail. 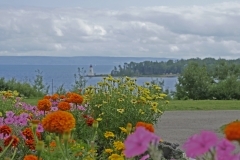 It has stunning views, switching from ocean coastal to inland river and then forested landscapes. But even better, the surrounding communities are rich in Celtic culture. We easily jumped of the trail to grab lunch and be entertained at the Celtic Interpretative Center in Judique. 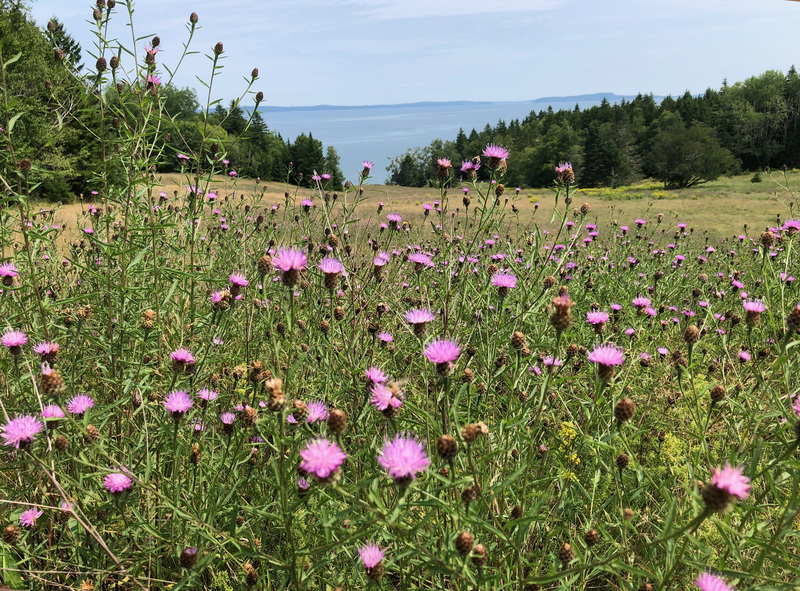 In western Cape Breton, the hills are alive with the sound of music. So are the parish halls, the pubs, even several barns. It’s a joyful noise — one made with fiddles, accompanied by pianos, bagpipes or guitars and underscored by the pound of dancing feet. “Ceilidhs” pronounced KAY-lees, are old school kitchen parties combining music, stories and dance. It is infectious; it starts with an involuntary head bob, and perhaps a convulsing knee, before you know it you think square dancing could be in your future. It is just old-fashioned fun, and we could not get enough. We went out nearly every night, and recorded the joyful noise to upload to the blog. 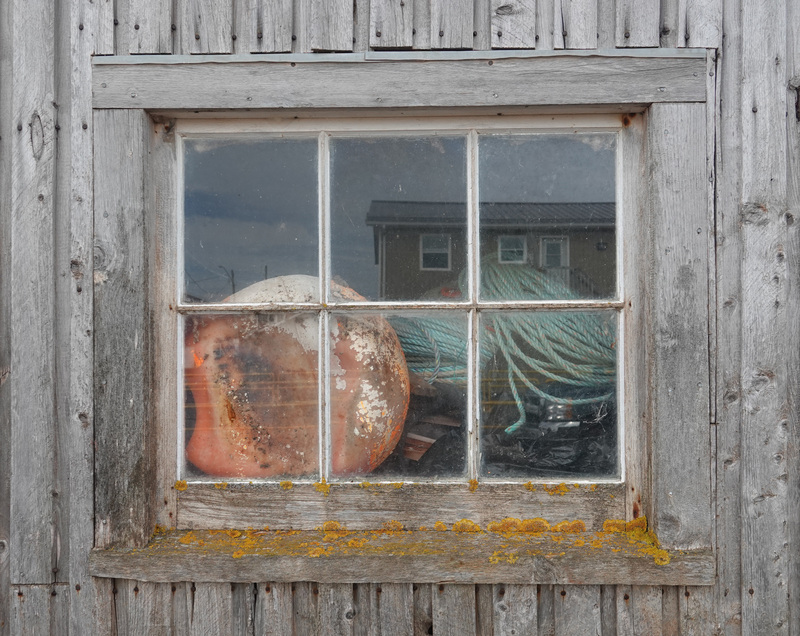 This warm hospitality was the backdrop to our planned time on the Cabot Trail. The road loops around mountains, along rivers and through the Highlands National Park of Canada. On the west side of the island, the hills get steeper, the roads get twister and the views are more stellar. It is the kind of place where you find a quiet spot to sit and take it all in. And as the final surprise, you know who was here before us? Alexander Graham Bell. Born in Scotland, he sought familiarity and space as he worked on his ideas. 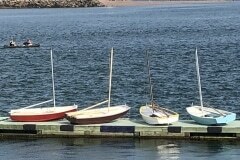 He found it here in Baddeck, Nova Scotia (New Scotland) and his children donated the results of his work in communication — the telephone prototypes —aerospace — In 1909, the first Canadian airplane, the first hydrofoil. The man was brilliant. This driving, on the way to PEI, was so much more than I could have anticipated.